Hello curious people wanting to know more about me! Having lived in several different countries, and visited many more, I've seen a lot of the world and am often approached for travel-related advice. A blog seemed the obvious place to collate my travel tips. 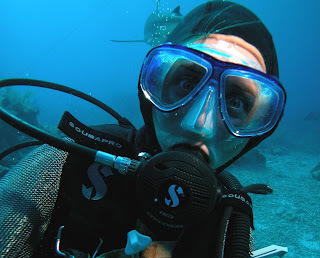 I have lived many lives, including on islands, yachts and mountains, and worked as a scuba diving instructor, shark photographer and, more recently, as a journalist and in communication. However, there are always more adventures to be had. But that is quite enough about me. This site is the culmination of my many travel experiences, diving tales and the results of my being annoyingly snap-happy wherever I go. Welcome.